What if I told you you can get paid to learn more than any college can teach you? Don’t believe me? Take a moment and reflect on your prior/current work experience. Three years ago I had two jobs on my resume — hostess/bus girl and tour guide. While I learned a lot about customer service and public speaking I didn’t learn what my “real” job would be like. You know the one, it’s the profession you will have for 50+ years after graduation. As someone who graduates in less than a month, I know how stressful it is to think about the future, but it is a little less intimidating if you have an idea of what it will be like on the job. Internships can change the course of your future. When I finished my freshman year at UNCG I was determined to get a summer internship. I grew up living on the same street as six older girls. I watched each of them go to college, decide on a major, then change their major at least twice. Each came home to tell me that what made them change their mind was getting to actually work in their field of choice. So I went home and called and emailed every place I could find until one gave me a chance (nevermind that I had no portfolio). Granted, I’m a rare bird because I have wanted to be a designer since my sophomore year of high school and nothing has ever made me question that decision; but for some, interning tells them the hard truth. Some of my friends have found that interning showed them they hate what they are majoring in. Others learned that maybe they didn’t like a specific area, like my friend, an event planning major, who found she hated weddings but loved food-related events. These realizations can be big game changers or minor tweaks in your plans, which is why I recommend interning early in your college career. Don’t wait until the final semester of your senior year, or worse, after graduation. There are pros and cons to every internship. Since that first summer, I have had three internships and held a part time job as a designer/manager. Each experience has given me unique insight into my future. I started as an in-house designer at a marketing agency where I was their first and only designer. It showed me that I loved my major and that I had a natural talent for design, but that I needed lots of training. It also taught me that I didn’t like working alone. It was hard not having someone to bounce ideas off of or do critiques with. The next internship I had was with another marketing agency, this time with more than 100 employees and several departments. I worked in the studio and creative department. Working with a mentor who had been at the company for 15 years, I learned the value of experience and print design. He showed me a heap of new skills and techniques that I was never taught in college. What I didn’t enjoy may seem silly, but the office I worked in had no windows and it really affected my mood and work. I discovered that taking the time to go outside at lunch or do a walk around the office for a minute every now and then improved not only my mood but my design skills. I still work in an office with no windows so it’s something I learned and still do to help improve my workflow. This experience lead me to my final internship, at Fifth Letter. Fifth Letter is a space that is completely devoted to design. I have loved having a team to go to when struggling and that hand sketching and critiques were part of the everyday framework. This internship pushed me — which was good, but intimidating. I had to go past what had become my typical design work. I had been designing bold, punchy posters for an audience of distracted college students for so long that I had to readjust my style. I needed to tone it down, know when it was too much and get back to my advertising/corporate design style. I also had to give myself the time to sketch most projects, while in school tight deadlines had put me in the habit of skipping over sketching and brainstorming, always going with my first idea. Feeling like you still aren’t good enough even as a senior can be scary. However, my internship experiences have given me the confidence to create outside of my comfort zone. This confidence has allowed me to feel excited and prepared to find a job as a graphic designer. So don’t rest on your laurels! My favorite thing about interning is that it’s unpredictable. It can be really fun and interesting if you eat a slice of humble pie, acknowledge that you don’t know everything and take every piece of advice you can get. Throughout all my internships I have worked on four or five different projects at each office. From designing a website to making a .gif and even designing a billboard, I’ve done it all! It’s a winding journey where you try out all sorts of new skills and techniques while getting advice from the best in the business. Best of all, your work will actually be used by clients! I can’t tell you how exciting it was the first time I saw an ad I designed in a magazine, on a billboard in the Greensboro Grasshoppers stadium, even in the hands of a stranger walking down the street. It’s exhilarating to know that when you work hard and step out of your comfort zone it affects real life instead of just a grade on a computer screen. So what will you do this summer? Go back to that restaurant or step into your future?Fifth Letter is a perfect place to step into your future so if you’re interested in interning, contact us! 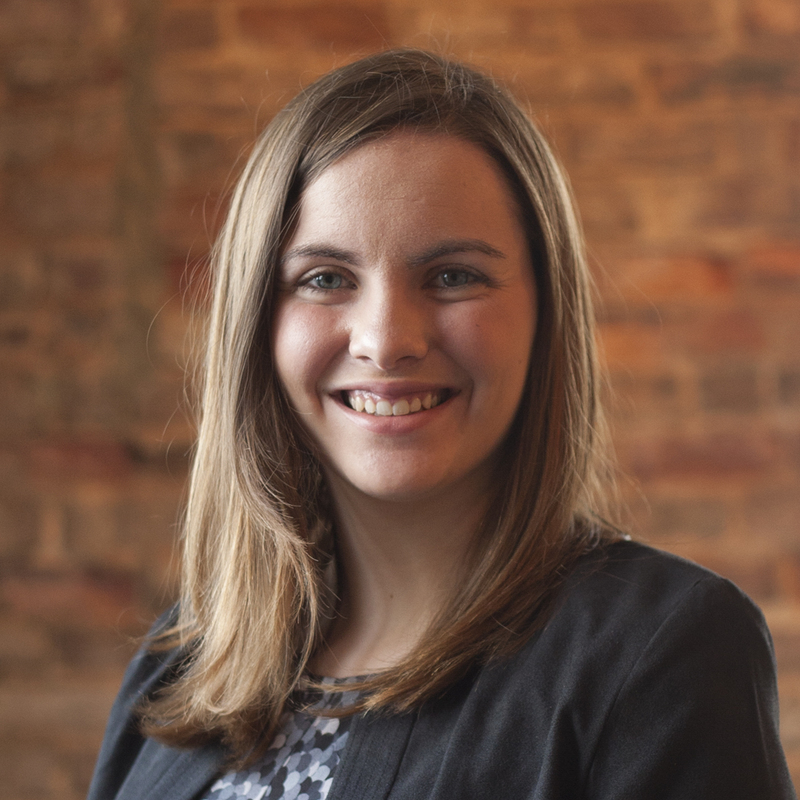 Laura Melrose was an intern at Fifth Letter and graduated with a degree in Graphic Design from UNC-Greensboro. She is now a graphic designer with Furnitureland South. Want to build your work experience and learn more than fancy schoolin’ can teach you? Apply for an internship at Fifth Letter. Contact jan@fifth-letter.com for more information.